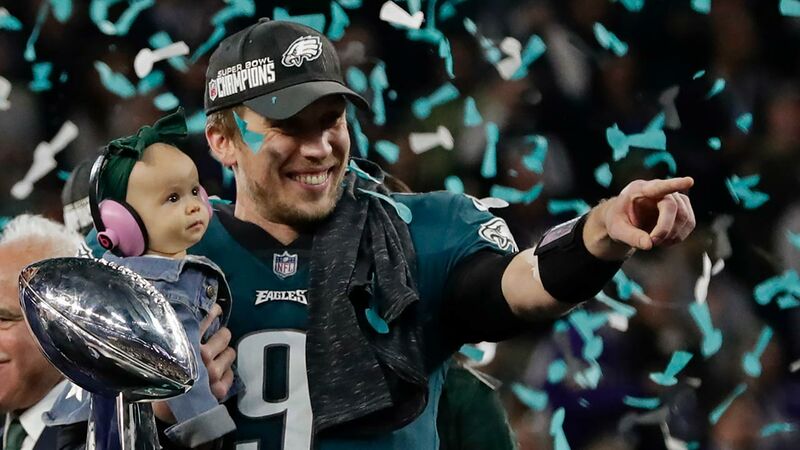 PHILADELPHIA (WPVI) -- Super Bowl MVP Nick Foles is reportedly signing with the Jacksonville Jaguars. According to NFL's Ian Rapoport, the Jaguars are expected to release QB Blake Bortles when Foles' deal is complete. The #Jaguars had Super Bowl MVP Nick Foles as their top target. Per @MikeGarafolo he gets 4 years and $88M. Large. Rapoport says this could happen in a few days. According to Mike Garafolo, Foles will get a 4-year deal worth $88 million.